Fox Sports is making use of a camera from C360 Technologies that features a single panomorph lens that captures 6K images and allows the production team to zoom in on up to four independent areas with up to 2X zoom without impacting resolution. A new prototype software-based server from EVS is also on hand for recording. The image captured by the camera is distorted like something captured with a fisheye lens. But the technology allows the operator to dive into the image virtually with pan/tilt/zoom and extract a flattened and normalized image. The camera body was made by JAI and features a machine-grade camera body. The zoom can be extended beyond 2X, but there is a negative impact on resolution. 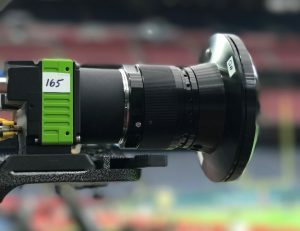 But placed in the right location and relatively close to the action (or for an event with a smaller playing surface than an NFL game), the 2X zoom can capture plenty of action effectively. 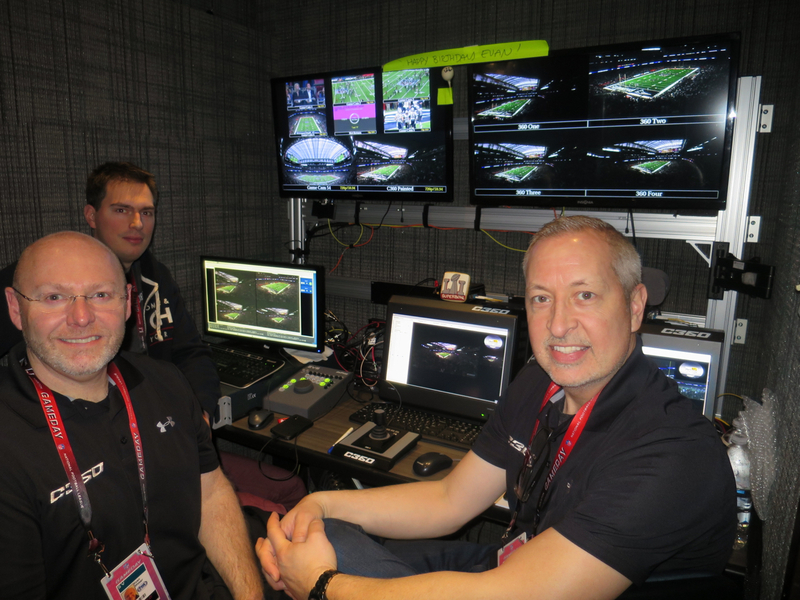 “The EVS server is able to ingest the high-resolution images and work very quickly in real time,” says Tomko. In addition, the camera can also be streamed simultaneously so that viewers over the internet can watch the same image and each can create a customized viewing experience.